With Thanksgiving coming up in the United States and Christmas just around the corner, it’s a busy time of year for people. Busy and expensive. Despite the fact that we know Christmas is the same day every year, it can still manage to catch us unawares when it comes to our finances. 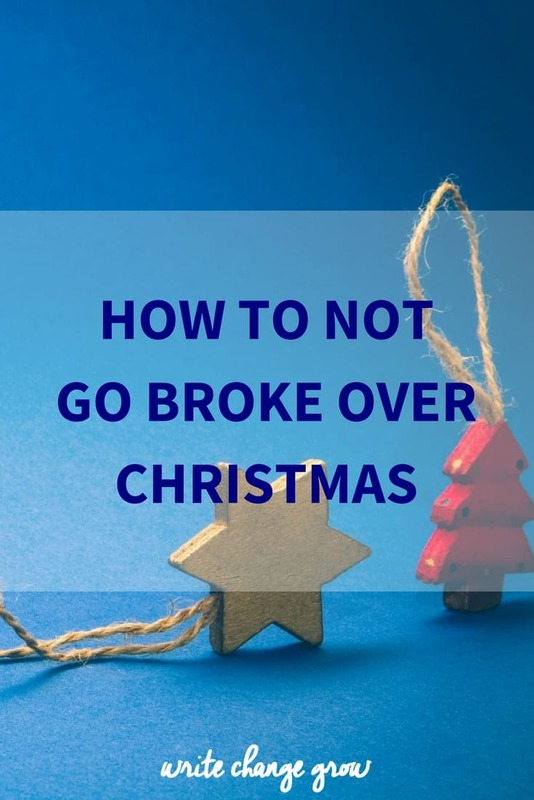 Here are some tips for not going broke over the holidays. I can’t stress this one enough. If you buy everything you want on credit, without having any idea whether you can afford it or not, you could wake up to January feeling anxious about how to pay off your massive credit card bill. Even worse, you could start getting calling from creditors demanding their money. Not a great way to start the New Year. Have a budget for food, alcohol and presents. Make sure your budget is something you can genuinely afford. Food can be where a lot of people come unstuck. Christmas brings with it so many extra food treats that we would not buy during the year. While it’s exciting and fun (not to mention tasty), it can also get rather costly if we let our spending get out of control. Make sure you have a food budget. Writing up a budget alone will not put money in your account (or stop it flying out of your account either), you need to follow through and stick to the budget. Depending where your family, friends or whoever you spend Christmas with is located, you may need to factor in transportation costs. If you are flying to see people, then that could be a significant cost. Trains, buses and even putting fuel in your car can add up if you have to travel a long way. Do up a shopping list for presents. On the list, write the person’s name, a few gift ideas and the spend amount allocated to that person. Have a preset limit for each present or if that concept is too rigid for you, how much the whole list will cost. If you use the second option, keep a track of your spending. This second option makes it a lot easier to overspend. Don’t use credit cards for gifts. It’s far too easy to go over budget when you are swiping plastic, instead of paying in cash. Use cash to buy gifts. Actual cash, as in the stuff you have in your wallet, instead of using electronic payments. Related post – Are You Spending Money to Fill a Void in Your Life? Don’t spread the cost of present across multiple credit cards. By doing this, it’s easy to lose track of how much you spend in total. Until the statements arrive and you realize just how much you spent across those four cards. If you are going to put gifts on credit, check the amount already owing on the card (though hopefully you pay the full amount off each month) then factor in your gift budget. Even better, apply the cash amount onto your credit card and use it like a debit card. Of course you could also use a debit card, that has the budgeted funds available. You buy a present for your Mum, then happen to see a lovely handbag that would go perfectly with a red dress you have at home, then while buying your sister her gift, you spot a fabulous pair of shoes that would look great on you. This sort of behavior could completely wreck your budget. If you do want to give yourself a gift, include it in your overall budget. Preferably one gift, not multiple. I don’t have kids. Best to be straight up about that. So buying Christmas presents for children is not my forte, though in saying that, I have certainly bought lots of gifts for my niece and nephew over the years, so I am not completely a novice. From what I have seen, some people tend to spend too much money on the kids Christmas presents. I know parents want to give their children nice things at Christmas, but how does it help them if you can’t pay the power bill when it arrives? You’re probably thinking the kids don’t care about the paying the power bill and shouldn’t be affected by it. Fair enough. What they will be affected by however is your stress levels going through the roof when the bills start flooding in and you are struggling to pay them because you bought too many expensive electrical gadgets over the holidays. They will also be affected if you have to start working longer hours at the office to try to pay off the extra debt. (That’s assuming you get paid for extra hours, which many of us don’t nowadays). Children don’t need ten presents. One or two well thought out gifts should do the trick. Think quality not quantity. Better yet, try showering them with more love, attention and your time. That they definitely do need and will appreciate. I know some people will hate this one. I did this last year and I will be doing it again this year. Some of the people I know are in the same boat financially and can’t really afford the massive expense of Christmas. I think some of them were even a little relieved when I mentioned the no gift giving idea. Admittedly, others are more keen on the exchange of gifts. The truth is if you can’t afford it, have a talk to your loved ones about skipping the presents. Let’s face it half the time, we get stuff we didn’t want anyway. Stuff that people paid good money for and is probably destined for landfill in the not too distant future. Why are we spending our hand earned money on stuff like that? Instead of presents organize to spend time with people. This is what one of my friends suggested when I bought up the no presents idea. She was all for it, what she wanted however was to make sure that we caught up over Christmas and spent some quality time together. With everyone rushing around like crazy people during the silly season, that was more valuable to her. I’m not suggesting you start saving for next Christmas during this one. Though if you can, I take my hat off to you. Once Christmas is over is a good time to think about your finances for next year’s celebration. You have a couple of choices. You can put aside a small amount of money away each pay for the entire year or you can put away larger amounts of money near the end of the year, starting around September/October or whenever is going to give you enough money to stay out of debt over Christmas. Work out how much you need and then do the maths on how many pays it will take to save the money. Make sure you put your Christmas fund in a separate bank account where you won’t take the money out. The goal, other than to have a wonderful time with family and friends over Christmas, it to not get yourself in a financial hole, which means either staying out of debt completely or not getting yourself any further in debt. Here’s to a January you can afford and enjoy! If you enjoyed this post, please pass it onto your friends via the social media buttons below. We’re really taking our time this year to rethink how and what we spend on the kids. It generally leads to a mass of opening and “oh, thanks, anything else?” anyway, which is so NOT worth hours on the computer to pay for. Always lovely to see you here!! Ahh yes the mass opening. I think we have all experienced them at some point. I think it is a great idea that you guys are having a think about your kids presents this year. It’s true about the hours sitting at the keyboard. When I was working in my last job and I was really unhappy, every time I went to buy something, I started calculating how many hours I had to work at a job I wasn’t happy in, to pay for that one purchase. It certainly had me rethinking and changing my spending patterns, that’s for sure! Great to see you here again Britt, look forward to talking again soon.